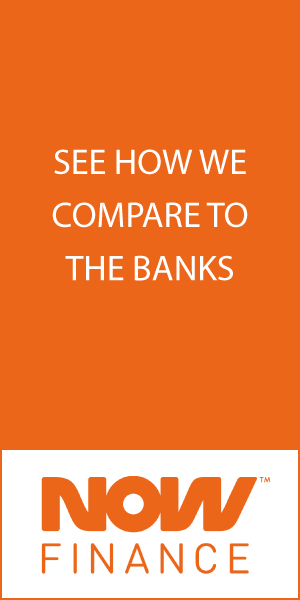 Comparison rate calculated on a secured loan amount of $30,000 over a term of 5 years based on monthly repayments. WARNING: This comparison rate applies only to the example or examples given. Different amounts and terms will result in different comparison rates. Costs such as redraw fees or early repayment fees, and cost savings such as fee waivers, are not included in the comparison rate but may influence the cost of the loan. Looking to finance a new or used car, van, truck or motorcycle? When comparing SERVICE ONE Alliance Bank car loans, there are other key facts to consider and understand, other than just SERVICE ONE Alliance Bank’s interest rates. What car loan options are available? View the above table for detailed product information and a comparison of the interest rates, fees and features. You can also review and compare SERVICE ONE Alliance Bank personal loans, SERVICE ONE Alliance Bank home loans and SERVICE ONE Alliance Bank credit cards. Do you have a SERVICE ONE Alliance Bank car loans calculator? Yes. Use the filter to adjust your loan amount and term to calculate your approximate monthly repayments. When you apply the filter, you will see a breakdown of your approximate monthly repayments as well as the total amount of interest and fees paid. For a more accurate quote, contact SERVICE ONE Alliance Bank directly. How to apply for a SERVICE ONE Alliance Bank car loan? If you’d like to apply online for a SERVICE ONE Alliance Bank car loan, just scroll up and click on “Learn more” to be taken to SERVICE ONE Alliance Bank’s secure online application form. Before you apply, be sure to learn about SERVICE ONE Alliance Bank’s loan products, fees and eligibility criteria. Give yourself around 30 minutes to complete the car loan application. There are many additional factors SERVICE ONE Alliance Bank consider when accessing your application, but the above are the most important. If you feel like you may not meet their eligibility criteria, it may be best to save! What can you use a SERVICE ONE Alliance Bank car loan for? How much can you borrow? Between $1,000 and $75,000, over terms between 1 year and 7 years. Use our filter as a repayment calculator to see your monthly repayments and rates. SERVICE ONE Alliance Bank allow weekly, fortnightly or monthly repayment. SERVICE ONE Alliance Bank allows you to make additional or early repayments. There are fees associated with completely repaying your loan off early. View their terms and conditions to learn more about early termination. SERVICE ONE Alliance Bank’s Secured Fixed Rate Personal loan requires an asset (typically, the vehicle) as security.